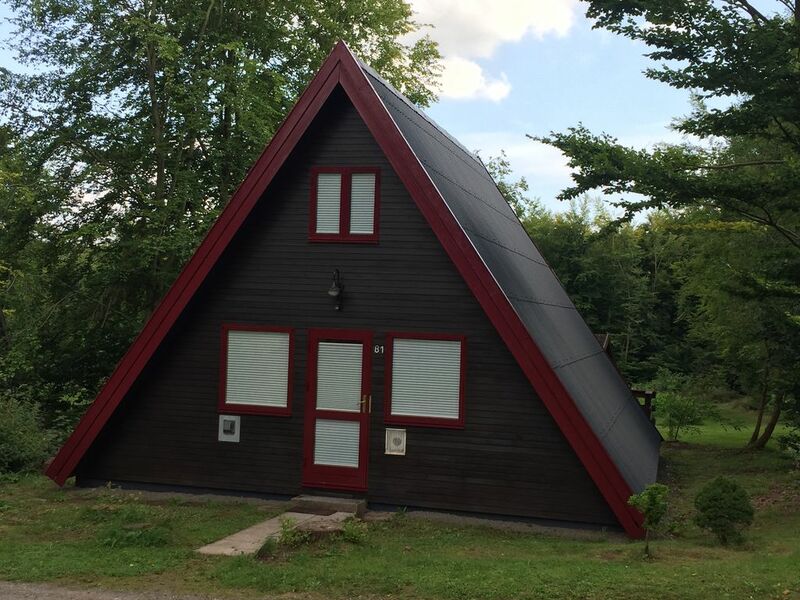 Newly renovated and furnished Scandinavian Nurdachhaus in the holiday park "Am Twistesee" for up to 6 people. Upstairs are 2 bedrooms with a double bed and 2 single beds, and a Schalfraum with double bed on the ground floor. The fully equipped spacious kitchen with electric stove, hob, coffee machine, microwave, kettle, etc. is located next to the living and dining room on the ground floor. As well as a bathroom with bath and toilet. In addition, we also offer a TV with DVD player and free Wi-Fi. The house is located in the middle of the forest, so peace and relaxation is guaranteed. In Fereinpark there is a playground, a badminton court and a miniature golf course which can be used freely. A small path leads to the idyllic Twistesee, where you will find a water ski center, boat rental, beach and various cafes. The park offers many opportunities for cycling and hiking tours. In the nearby Bad Arolsen there are sights, shopping and restaurants. The prices vary depending on the season between 45, -EUR and 75, -EUR per day. The final cleaning costs 40, -EUR and is paid on departure directly on site. At the rental price is a flat rate of 2, -EUR per person per day for water, electricity, gas and Wi-Fi, which is also paid locally. Das Ferienhaus ist wirklich sehr schön und auch super ausgestattet. Auch die Umgebung ist traumhaft und lädt zu langen Spaziergängen ein. Sehr schön und geschmackvoll eingerichtet. Kommen gern wieder!